That's right, the future is here! For years now our amazing Customer Experience team has offered support via email, live phones and live chat but holograph consultations are going to revolutionize business as we know it. The next time you need to contact a GigMasters staff member for assistance with a gig, your profile or anything else to do with our site, you can beam us right into your living room! That's right, a live, 3D image of any GigMasters staff member can now be transmitted through your computer. It sounds funny to say but the technology behind this feature is much the same as in Star Wars Episode IV: A New Hope. 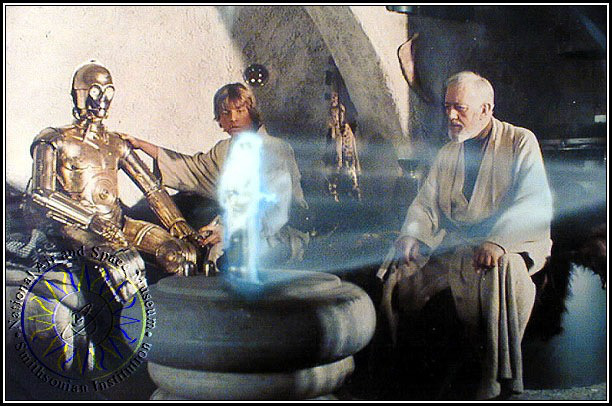 Only, instead of a tiny 3D Pricess Leia being beamed into your living room, we'll send you a live holographic image of Ben, Erica or any other member of our Customer Experience team. All you need to take advantage of this new feature is a high-speed Internet connection and the will to believe.